It's Time to Start Living Life Pain-Free! Millions of Americans suffer from chronic facial and neck pain as well as recurring headaches. In some cases, this pain is due to Temporomandibular Disorder, or TMD. 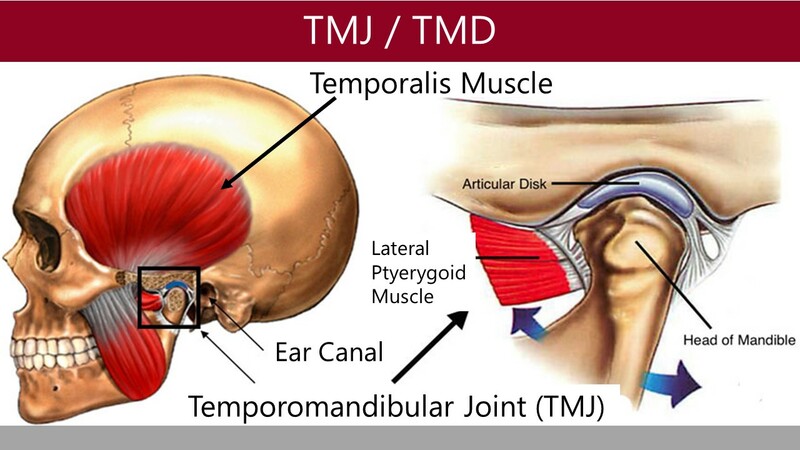 Your temporomandibular joints (TMJ) connect your lower jawbone to your skull. These joints get a lot of use throughout the day as you speak, chew, swallow, and yawn. Pain in and around these joints can be unpleasant and may even restrict movement. When you suffer from severe chronic pain and/or headaches, everything suffers including your health, your family, your work, and your relationships. If you have been suffering from chronic facial, jaw, head, and/or neck pain for years, chances are you’ve undergone different types of treatments without finding it. It might be hard to believe that a problem in your jaw could be the main cause of pain in other part of your body, mainly your head and neck area. However, it has been known that numerous researches have shown that variety of symptoms such as severe headaches, jaw, neck, back, and shoulder pain have been associated with Temporomandibular Joint (jaw joint) dysfunction. Many of these symptoms can be improved with the right type of treatment for your jaw joint. 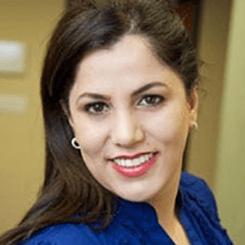 Having completed extensive continuing studies regarding the TMJ, Orange County dentist, Dr. Maryam Horiyat, at Aria Dental of Mission Viejo can likely help you find relief from these bothersome symptoms. call us at (949) 364-9600 or to make your appointment today! 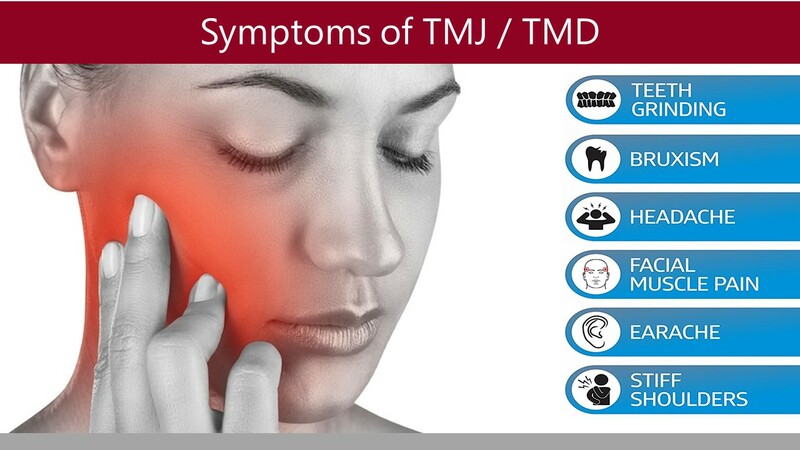 What Is TMJ / TMD? The Temporomandibular Joint (TMJ) or jaw joint like other joint is composed of cartilage, muscles, ligaments, and bone. 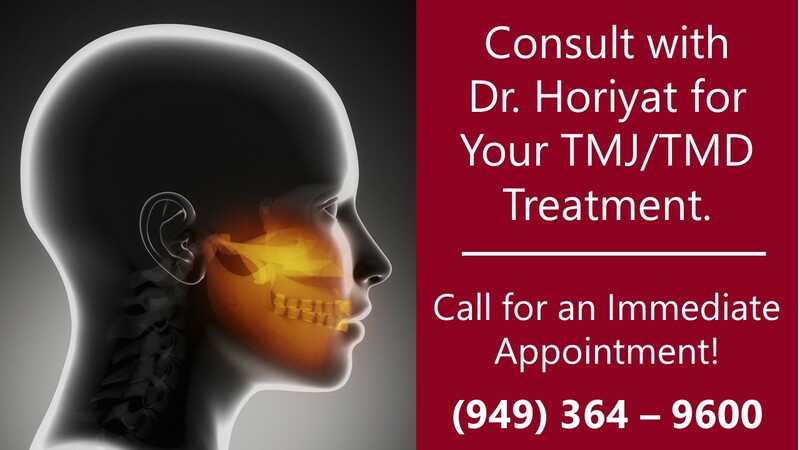 When TMJ dysfunction exists, it is called Temporomandibular dysfunction (TMD) also known as CMD (Craniomandibular dysfunction), MPD (myofascial pain dysfunction). 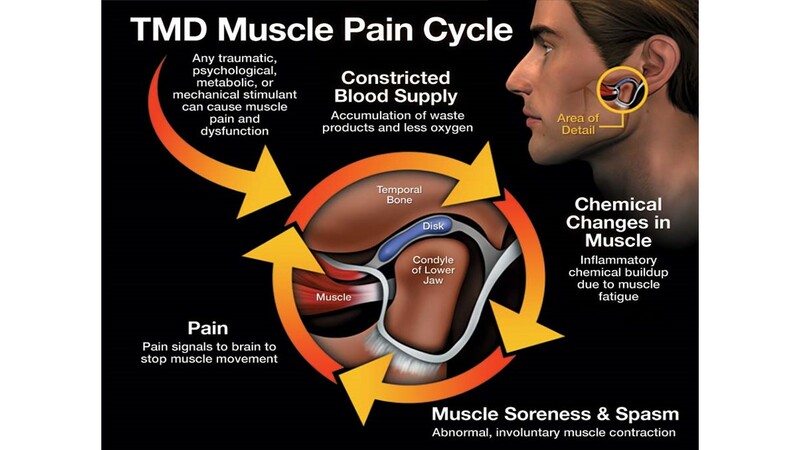 Because TMD is a musculoskeletal problem, signs and symptoms are defined by pain and dysfunction that may lead to many conditions, but by far the most common symptoms of TMD is headaches that is often confused with Migraine. Qualitatively it is usually a dull ache but can be more acute. Also, commonly described as feelings of tension, tightness, or fatigue on the sides of the head, either unilaterally (on one side) or bilateral (on both sides). The frequency can be episodic or constant with varying intensity throughout the day. The pain typically worsens with jaw movement or functions, i.e. eating, talking, yawning and opening wide. 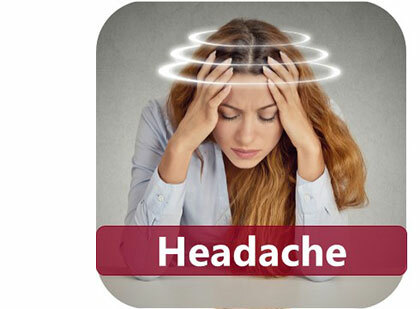 HEADACHE: They are the most common symptoms of TMD; They are usually tension-type, but TMD can be an initiator for vascular or migraine headaches. 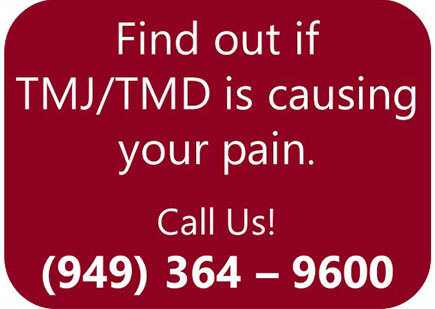 Headaches that are worse during sleep or upon awakening are usually TMD related. 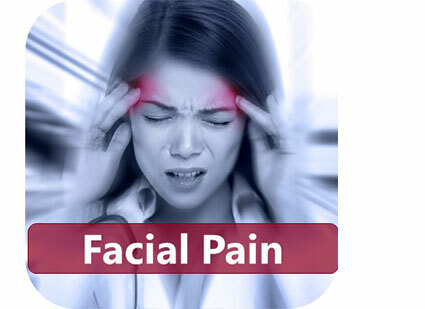 FACIAL PAIN: Usually in the jaw joints (located in front of ears) and in the masticatory muscles (sides of face); pain in cheeks and lower jaw are also common. EAR PAIN: This is usually referred pain from the TMJs and is secondary to the close anatomical relationship of the jaw joints and ear canals. 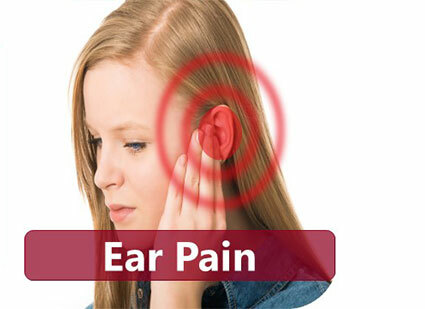 Other common ear symptoms include ringing or tinnitus and a stuffy or clogged sensation. Hearing loss and vertigo are sometimes reported though are uncommon. Patients commonly mistake these ear symptoms as indications of sinus problems, but for most adults, the symptoms are manifestations of TMD. 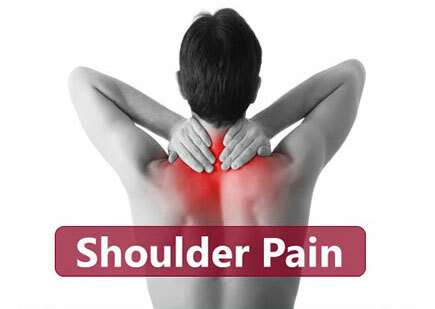 NECK / SHOULDER PAIN: This commonly represents a separate neck problem, i.e. cervical degenerative disease, but can be related with either the TMJ problem contributing to the neck pain or vice versa. TOOTHACHE: When associated with TMD, the tooth pain/soreness is usually generalized, variable, and can change locations in the mouth. JOINT SOUNDS: Clicking or popping sounds usually indicate the presence of a reducing displaced disk, though can indicate a change in the shape of intra-articular tissues. Crepitus or grinding/grating/sandpaper sounds is highly correlated with the presence of TMJ arthritis. JAW LOCKING: It refers to jaws getting stuck in either the open or closed position. OPEN LOCKING: It usually results from a combination of TMJ hypermobility in conjunction with contraction of the jaw closing muscles. CLOSED LOCKING: It usually results from a TMJ disk displacement that the condyle can no longer recapture. Closed locking is usually preceded by jaw popping, i.e. a reducing disk displacement. TRISMUS: This condition is when limited jaw opens and usually indicative of an intra-articular problem, as opposed to a muscular disorder and can be caused by non-reducing disk displacements or arthritis. BITE CHANGES: Most alterations in patient's occlusion are perceived, but not clinically detectable. SLEEP DISRUPTION (insomnia): It can be an important risk factor to TMD because of the relationship between sleep quality and bruxism. Malocclusion: misalignment between the way the teeth fit together and the way temporomandibular or jaw joint wants them to fit. History of trauma to face or head or whiplash injuries such as car accidents, and sport injuries etc. TMJ ORAL APPLIANCE, BITE GUARDS: Appliances that reposition the jaw to decrease clicking and decompress nerve related with TMJ pain. Stabilization appliances are also used for myofascial pain and cognitive behavioral habit control. BOTOX INJECTION: BOTOX is infected into facial muscles afflicted with soreness and discomfort to temporarily lessen muscle spasm causing TMJ and jaw tension for 3-8 months. TRIGGER POINT INJECTIONS: Trigger point injection therapy involves the injection of a local anesthetic into tender points to eliminate pain. SLEEP APPLIANCES FOR TMJ: Breathing related sleep disorders are often diagnosed in conjunction with TMJ disorders. Dr. Horiyat uses and offers several different sleep appliances to assist with TMJ pain and related headaches, jaw and neck pain. PHYSICAL THERAPY FOR TMJ: physical therapy and cold laser can be used in myofascial release, mobilization of the TMJs, and deep muscle therapy to lessen pain and symptoms associated with TMJ disorders. 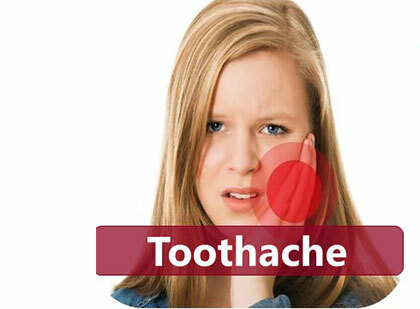 MEDICATION: adjunctive with other non-surgical treatments, medication such as muscle relaxants, Medrol, Neuropathic medications and/or sedative may help relieve the pain associated with TMJ disorders. Apply moist heat with a warm wet wash cloth, wet heating pad, or hot water bottle. Ice or packaged frozen food wrapped in a wash cloth may also be applied to the painful area. Use whichever (hot or cold) provides the greatest relief. Both can be used. Take an over the counter (OTC) anti-inflammatory medication (NSAID), such as ibuprofen (Motrin, Advil) or naproxen (Aleve). In terms of medication, follow manufacturer’s recommendation.